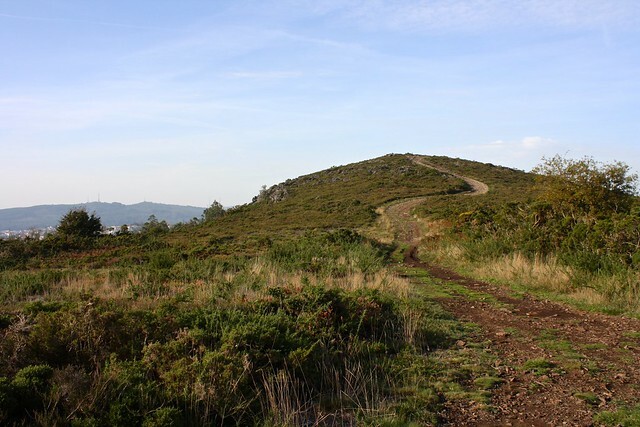 One of the things I love most about getting to live in Santiago de Compostela is having so many great hiking opportunities available within an hour of my doorstep. I talked about the various hikes you can take from Santiago on the blog a couple months ago, but I thought one of them merited a post in its own right. While the most popular place to get an amazing, panoramic view of Santiago is from the summit of Monte Pedroso to the northwest of the old town, there’s another mountain to the southeast that offers similar vistas but with zero crowds: Monte do Viso. 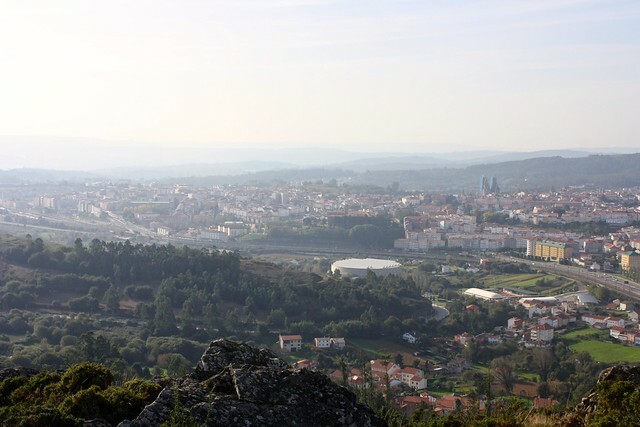 Snuggled in between the futuristic Cidade da Cultura complex and the pilgrim checkpoint of Monte do Gozo, the barren, rocky summit of Monte do Viso looms over the heavily-trafficked Autopista do Atlántico below. The “viso” part of the name is a Spanish and Galician word that means “height or elevation, high point or place, which you can see and describe a lot of terrain from” (thanks RAE dictionary!). A lonely and unforgiving summit, yes, but a good place from which to take in the expanse of the modern city of Santiago. It’s only supposed to take under an hour to reach the mountaintop from the old town, but after passing the Leaning Tower of Pisa-style Colexiata de Sar church, I was glued to my phone’s GPS app to keep me from getting lost. Google Maps took me past country farms (I thought I was trespassing since I was the only non-Galician speaker around! 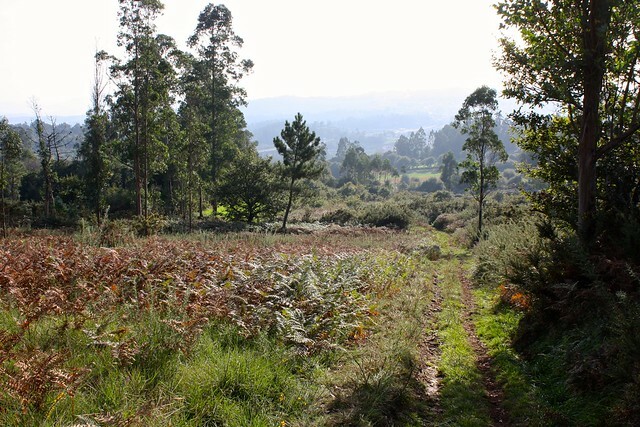 ), over the highway, through dense forests of pine and eucalyptus, and finally onto a stretch of gravel road where two guys on ATVs went barreling past. 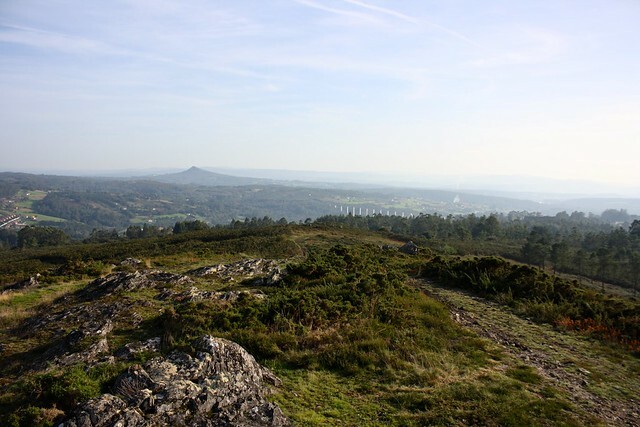 At the summit, although the city was only an hour away on foot, I felt like I was the only person there for miles around; apart from a plain marker put there by the city, I had only rough, weathered granite stone to keep me company. The views were really rewarding, as I could trace the whole stretch of the city from the sprawl of the Vuelva Usted Mañana neighborhood (yes, people call it that! ), Belvís Park, the cathedral covered in scaffolding, and the gridded Fontiñas development. Cars, semi trucks, and the occasional train passed by below, but as the sun was beginning to set, it was time to head back down. What was your favorite photo from this blog post? 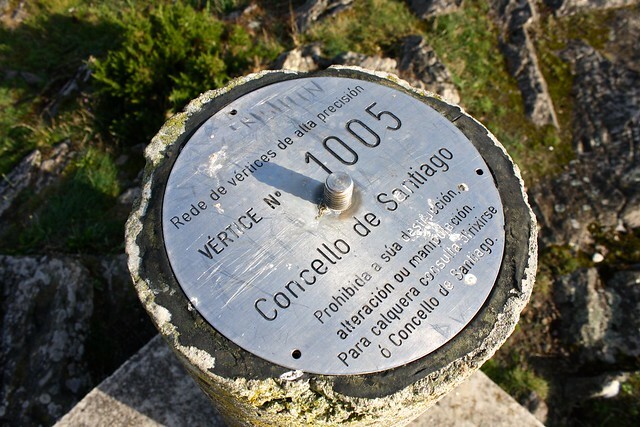 Have you ever hiked up Monte do Viso before? Tell me below in the comments!